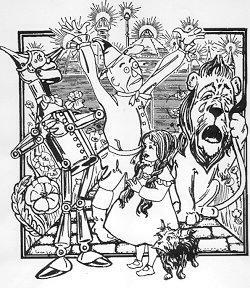 The Wonderful Wizard of Oz with the Yellow Brick Road and the Emerald City, and all of its characters; Dorothy, the Tin Woodman, the Scarecrow, the Cowardly Lion, Glinda, the Munchkins, the Flying Monkeys, and of course Toto too come to life in The Oz CentralT Wizard of Oz Story Telling Kits and Color It! 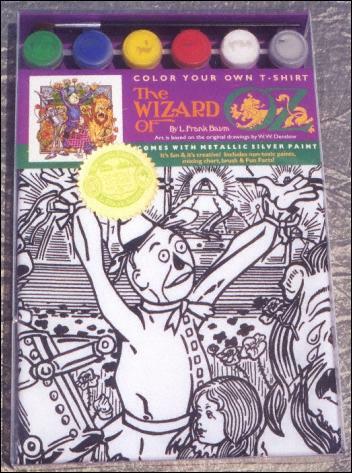 T-shirt Kits done true to the original W. W. Denslow illustrations. 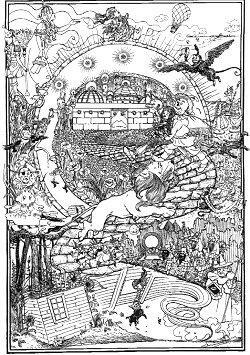 and 15 chisel point markers. 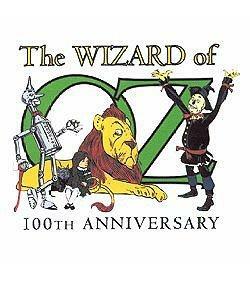 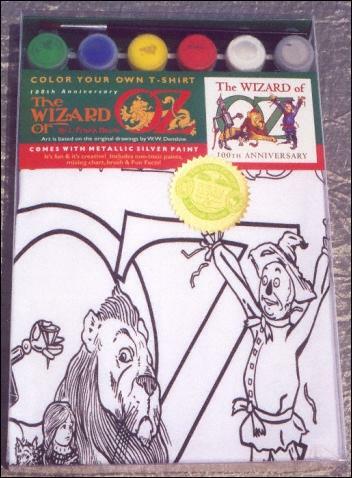 Each of the Oz CentralT Color Your Own T-Shirt Kits contains a diagram suggesting how to paint the Wizard of Oz characters, as seen here in the 100th Anniversay Logo picture, but the finished shirt can only be limited by the imagination. 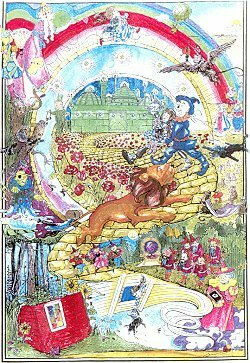 True collectibles.